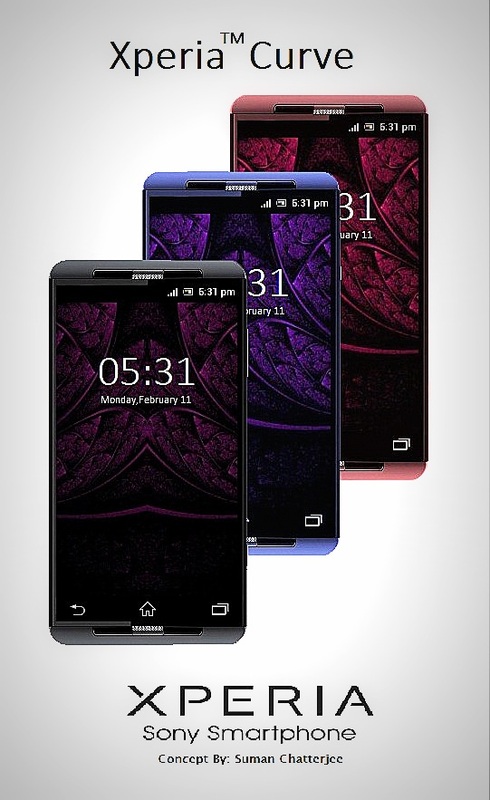 Here’s yet another render from Suman Chatterjee, this time the one of a Sony Xperia smartphone. Under the motto “Break the edges, love the curve”, he introduces the Sony Xperia Curve handset, pictured below and resembling the BlackBerry Z10 quite a bit, if we judge considering the upper and lower side design. The device seems to run Android, although that’s not quite clear here and virtual buttons are a bit too big considering the rest of the phone. The form factor is a pretty sweet one and for some reason I imagine this model being 4.5 inches in diagonal for some reason, clearly not a 5 incher. I suspect that at the back of the Xperia Curve there’s at least a 10 MP camera, if not 13 MP with Exmor R/RS sensor and I can’t seem to spot any front camera. Other specs should include 2 GB of RAM and a quad core CPU, although all of those are speculated by me, not suggested by the designer. However I tend to think he’d agree… So, does this Xperia concept model resemble the BlackBerry Z10 or more of a Lumia and Xperia hybrid?